In The Real Deal earlier this week, there was an article about the most expensive Downtown Miami rental. It was a penthouse at 900 Biscayne owned by basketball player Kevin Durant that listed at $22,000 per month and was scooped up rather quickly. 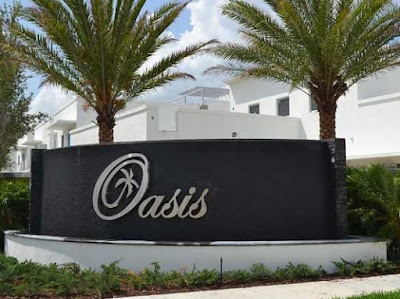 Oasis Park Square is a new Doral neighborhood that has been under construction since 2013. This is a gated community with larger, executive-style homes with a contemporary architectural design of simple lines and modern fixtures and finishes. Homes range from about 3,100 square feet to over 4,000 square feet and have luxury features like gourmet kitchens with high end stainless steel appliances, stone counter tops and sleek cabinets, wine cellars, marble flooring, and roof top terraces with outdoor kitchens for entertaining and enjoying the Florida sunshine. FYI – properties listed for sale in Oasis Park Square are typically priced between $1 million and $2 million (a lot of house for the price). 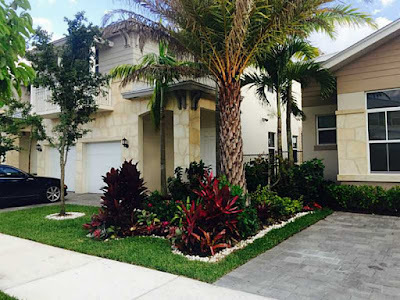 Another new neighborhood with some of the top available Doral rentals is Vintage Estates. This neighborhood is part of a larger community, Vintage Doral, which also devotes a section to smaller coach-style homes. The atmosphere of Vintage Doral is 180 degrees from Oasis Park Square in that it has more of a Tuscan/Mediterranean architectural style in terms of the home designs with lots of stone, stucco, and clay barrel tile roofs. Developed by the Terra Group, Vintage Estates features home interiors with modern, high-end fixtures and finishes along with unique accents to give homes character. Some of the most sought after features include private swimming pools with outdoor kitchens and lots of room for entertaining, large bedrooms and living areas and so much more. Homes for sale in Vintage Estates start just below $500K and climb to almost $2 million; however, if renting is preferable, Vintage Estates rentals may start as low as $3,500 and go to almost $8,000 per month. These homes are ideal for those who frequently travel to South Florida for extended amounts of time but still maintain a primary residence elsewhere. Other neighborhoods feature some of the most beautiful and luxury Doral rental properties with rental property available including Doral Isles and Grand Bay as well as communities under construction like Downtown Doral, Midtown Doral and NeoVita. Doral offers the ability to live like a king without spending a fortune – affordable luxury at its best.